Yep - that's pretty much what this dish was. Money is tight in the Hinchman household this month, what with all the weddings, parties and with Christmas just around the corner, the purse strings are pretty much pulled shut. Plus between all the parties and weddings I've put on 4 of the 6 pounds I lost, so we not only need to eat what's laying around the house, but it needs to be healthy. 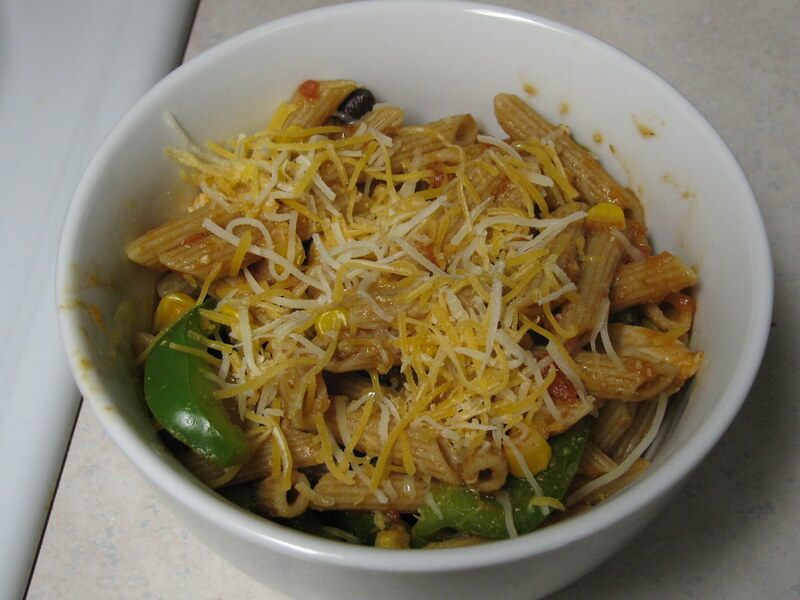 I popped onto my trusty website, Kraftfoods.com to find something to make. I love that you can put a few ingredients that you have on hand and it'll pull recipes for you. There's also a Budget Wise section if like us your operating on a limited budget. They also have a Healthy Living section which is where I found this recipe. 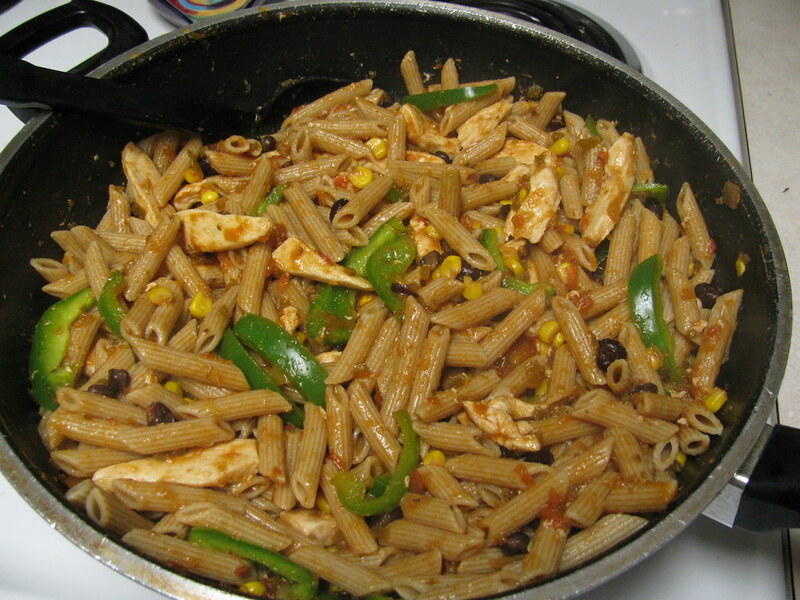 When John and I first moved in together Kraft was where I found pretty much all the recipes that I cooked. It's great if you don't know a lot about cooking, just be prepared for a lot of cream cheese and recipes made with dressings. COOK pasta as directed on package. 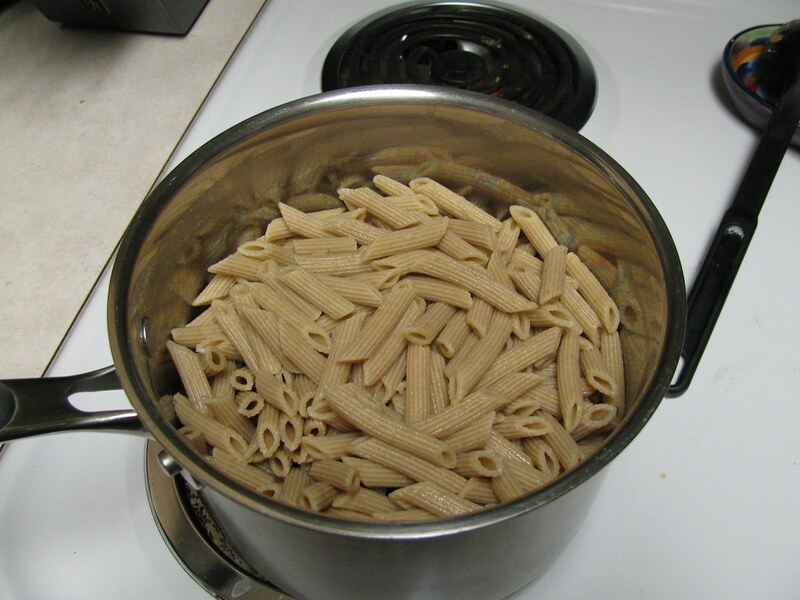 I always rinse it really well afterward because John hates the taste of whole wheat pasta. Rinsing helps get rid of the grainy-ness. MEANWHILE, heat large nonstick skillet sprayed with cooking spray on medium-high heat. Add chicken; cook and stir 2 min. 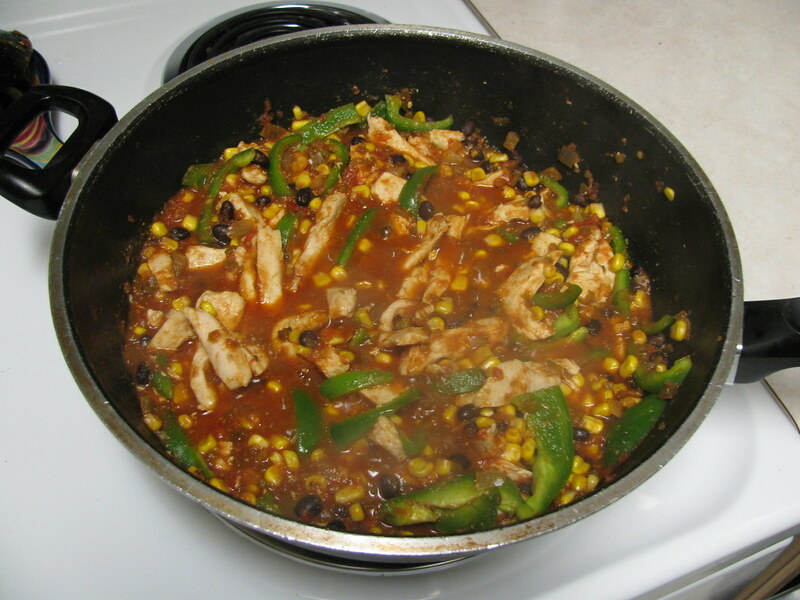 Stir in salsa, corn, peppers and black beans. Bring to boil. Simmer on medium-low heat 10 min. or until chicken is done, stirring occasionally. Looks delish!!! Love Kraft Foods recipes. I did this tonight and made the most awesome dinner. Of course I swap things around but it was so good. I'm glad you posted this. Oh, I made creamy chicken pasta with bacon and tomatoes. Soo yummy! Ashley - glad you liked it! I love Kraft recipes because they're generally pretty easy to mix up.